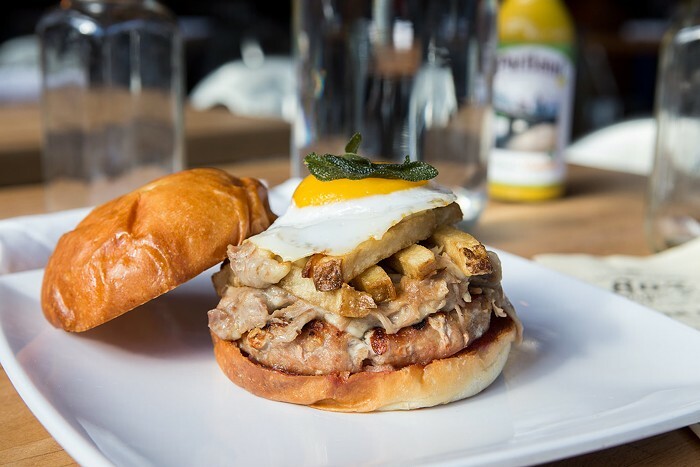 Opened in 2011 by Chef Kevin Chung, 8oz was immediately accepted by burger-loving patrons on the Hill. Boasting 50 whiskeys and innovative burgers ("The Union", for example, features an espresso rubbed patty, arugula, fried shallots, candied bacon, gorgonzola and peppercorn aioli), 8oz. is a good choice for either lunch or dinner. The prices aren't cheap ($12 is the average for a burger) but undeniably tasty. Chung also went on to open a second 8oz. in Ballard, equally lauded and loved. Happy Hour Daily 4-6 pm, 9 pm-close ($3-$4 beers, $5 wells, $6 house red/white wine, all food available with purchase of beverage, $2.5-$12 food menu).